Samsung on Thursday announced nine new products, including smartphones, tablets and a smart camera, but the biggest breakthrough product was a 13.3-in. 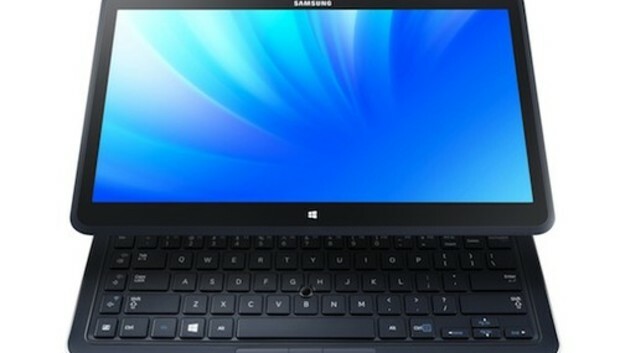 convertible tablet called the ATIV Q that runs both Android Jelly Bean and Windows 8. The dual OS concept didn't make sense to Carolina Milanesi, an analyst at Gartner, even though she liked the ATIV Q design and its ability to convert from tablet to laptop with a foldout keyboard. "Why would you want both OSs on one device if you wanted to do work and play?" she asked. "To me, this is more about doing technology for the sake of it. The design of the ATIV Q is amazing, but I think it would have done much better in just Windows 8." She said that while Samsung hasn't announced the price or other details, she predicted it probably will cost more than buying two tablets, each running a separate OS. Power users will like having access to both Windows and Android apps, "but I think this concept will be very confusing to the user," added Patrick Moorhead, an analyst at Moor Insights and Strategy. "One really positive thing this brings to Windows 8 is the ability to have access to all those Android apps even though are really blown up phone apps." The ATIV Q's touchscreen has 3,200 x 1,800 resolution, the highest for a screen of that size. It is powered by Intel's Core i5 processor and has a 128 GB solid state drive. It weighs 2.84 pounds. Samsung claimed it would get nine hours of battery life. The ATIV Q announcement was one of nine new products announced by Samsung at the event. Other products included the ATIV Tab 3, a 10.1-in. tablet also running Windows 8, and the Galaxy S4 mini, an Android smartphone with a 4.3-in. touchscreen. A new Galaxy NX Camera runs on Android Jelly Bean 4.2 and LTE to allow posts to Instagram and other sites and can also take photos during phone calls. The Tab 3 weighs 1.21 pounds and runs only Windows 8. It features an Intel Atom processor. The number of products announced by Samsung continued the company's long ability to produce tablets and other devices of various sizes, although not all are sold in each market globally. Having the ability to offer so much product scale is a key strength, Moorhead said. "They are the only company that can afford to develop and market their broad myriad of products," he said. "The strategy is working well in TVs and cameras versus Sony, and well in smartphone versus Apple. Samsung needs now to convert that ability into a tablet and PC success that has been elusive so far versus Apple, Google and HP." But Milanesi questioned how long Samsung can keep up its product diversity. "Generally, I am overwhelmed by how much Samsung is micro-segmenting its markets, and I do wonder how long it can afford to do so," she said.